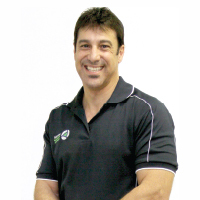 Peter Palazzo has over 15 years experience in the General Insurance Industry. With a background in both Finance & Retail, this experience allows Peter to better relate to SMEs when tailoring an insurance program based on their needs. Peter’s clients have wide and varied occupations from those in the Commercial field such as Business/Property Owners, Trade, Construction & Public & Products Liability to Farming and of course Domestic. Peter recognises the importance of providing businesses of all sizes with a high level of service and professional advice. He endeavors to provide value, security and service that extends beyond the expectations of his clients through trust,openness and integrity. The large amount of referral business Peter has received from his existing clients is testament to this commitment. Peter Palazzo and Essential Insurance Solutions was recognised by Westcourt General in 2014 when he was presented with the Rising Star Award. After 15 years in the Industry, we can provide assistance in a wide range of Insurance Products from Home & Contents and Motor Vehicles through to Business/Trades and Services including the more complex risks. Living in a tourist town like Mildura, we have many clients in the Hospitality Industry (Caravan Parks, Motels/Hotels, Restaurants/Cafes etc.). We also have many years experience working with Farming clients. After meeting with several AR Network Groups, I chose Westcourt General. I was immediately impressed with their AR module which allows you to operate your business without any major restraints and yet provides the support, knowledge and experience from the group when available. They have a genuine concern for each and every AR not only from a business sense but also from a personal view point. It gives us a real sense of satisfaction to assist and provide solutions for our clients. The ability to provide our skills and knowledge to a diverse range of industries/businesses and individuals is both challenging and rewarding. Our clients quickly understand the importance and value of having someone working with them as a "partner'' rather than just dealing directly with an insurance company. Spending time with my 2 teenage daughters. Enjoy keeping fit with regular visits to the Gym. Love AFL (Go Bombers!) and still involved with my local football club. Trying to reduce my golf handicap without luck!